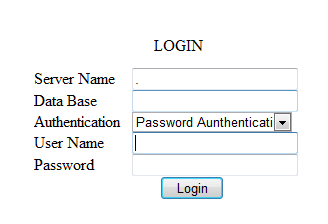 You need to give user credential as shown in below fig. Once the credential is successful you will get below screen. Just select the table for which you want to generate code. Now if you want dataset as entity then just check the use dataset checkbox. It will generate y our windows form, Business manager class, Data Access layer class. Just copy and paste in your project it will work fine with some minor changes. I hope you have great time. Sometimes it happens that you have lot of work load and you have to deliver within time limits on the same time you have to make your coding consistency. If I think about me then I can say I am not going to compromise at least my coding style while the work load is high. So I just got idea to write some useful programs or tools which help me in finishing work as fast as possible. In future I am interested in WCF & WPF & Silverlight code generator according to my coding style. In this post I am giving SQL server Stored Procedure Code. It is basically a web application and you have to setup this web application and it will work as per your need. In Next post I will share dot net code generator till than b bye. For Indian its great news that you can now create web site in your native language like Hindi, Marathi, Punjabi, Urdu, Tamil etc. Kudos to Microsoft for introducing “Microsoft Indic Language” with help of this we can easily create web site in any language without doing much efforts. Remember here: I am using hindi here that’s why i used hindi.js you can use your own choice. 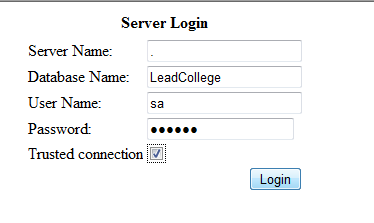 Step 2:- Add new attribute with each input control which is “MicrosoftILITWebAttach” as shown in below. Otherwise your searching will not work and all the data will be change to question mark instead of actual data.